Ayahuasca (pronounced ‘’Aya-Waska’’) is a psychedelic drink –generally tea – made by cooking the stem of Banisteriopsis caapi with the leaves of Psychotria Viridis. Ayahuasca tea is believed to have healing qualities, and according to The Ayahuasca Foundation, over 90 indigenous Amazonian tribes have developed healing traditions around Ayahuasca throughout the history. Ayahuasca experiences regularly lead to psychedelic-inspired art pieces, some of which you can view on Ayahuasca.org. A stem of Banisteriopsis caapi. This recipe suggests 50 grams (while still whole, not when already powdered or shredded). 50 grams of the leaves of the Psychotria Viridis. OR 12 grams of Mimosa Hostilis, in which case you will also need a teaspoon of white vinegar. About 3 liters of water, preferably distilled. Stainless steel pots. Four containers if you do not want the process to take a few days. Make sure that you don’t use Teflon or aluminum. Cheesecloths or clean T-shirts to use as filters. Use a clean filter every time you strain the liquids. Even though preparing Ayahuasca to get high is illegal in most countries and the finished brew is a controlled substance, it is legal to buy and sell the ingredients used to make Ayahuasca tea. It is easy to purchase the things you need online. Make sure to do proper research on the vendor, as well as your country’s rules and regulations regarding the import of plant materials. You can also purchase an Ayahuasca kit from some websites, which will also warn you to be sure that you are allowed to import these plants. Always brew your Ayahuasca tea in stainless steel. Distilled, filtered, spring or reverse osmosis water is preferable, as it assists in drawing the alkaloids from the plants while simmering. Lemon juice tastes better than vinegar, but vinegar is the better choice when you choose the Mimosa Hostilis option. Keep the plant materials covered while cooking Ayahuasca tea. People’s sensitivity towards the brew will always differ, and the potency will vary according to the number of plant materials used. It is always better to start with a lower dosage of plant materials. You can always drink a little more if you are not happy with your response to the Ayahuasca tea. Making Ayahuasca tea is a ritual by itself. The maker will need patience as it involves a great deal of time, and will need to do it with great care. There are many recipes to prepare Ayahuasca tea, so we researched the most efficient way on how to make Ayahuasca tea. Wrap the Banisteriopsis caapi in a towel and break it using a hammer until you have properly shredded it. Crush the Psychotria Viridis if you prefer. This step is not imperative to the process. If you choose the Mimosa Hostilis option, you should thoroughly grind it. You can use a coffee grinder for this step. The finer the root bark, the better. In a stainless steel pot, place the crushed Banisteriopsis caapi and cover it with water. A liter or so will do. In another pan, place the Psychotria Viridis and cover it with around a liter of water. In another pot, mix the Mimosa Hostilis with a teaspoon of vinegar and a liter or so of water. Boil both mixtures on a moderate heat for 3 to 4 hours. Excessive heat will destroy alkaloids. After boiling, pour off the water and strain through a cheesecloth or T-shirt into another stainless steel pot. You can squeeze the cloth to make sure you get out as much as the plant juice as possible. Using the same plant matter, add fresh water and boil again for a further 3 to 4 hours. Again, pour the water off into a stainless steel pot again using a cheesecloth or T-shirt. Repeat step 5 to 8 until the liquid you strain is clear. It may take anywhere from 2 to 5 times. Discard of the plant matter. Place the strained liquid from the Psychotria Viridis in the refrigerator overnight – it should not be reduced immediately. Boil the liquid from the Banisteriopsis caapi gently until evaporated enough to have a manageable amount for each dose. The dose should be between half a cup and a full cup. If you went with Mimosa Hostilis, gently boil the liquid until reduced to between a half and a full cup of a clear substance. Place the liquid in a refrigerator and leave overnight for it to cool down and settle. In the morning, strain the liquids through a cheesecloth or T-shirt once again. There will be sediment settled at the bottom. Do not tamper with this as you do not want that in your drink. You can choose whether you want to mix the two liquids and take it as one dose, or you can drink the Banisteriopsis Caapi brew followed by the brew made from the Psychotria Viridi or Mimosa Hostilis. As this is tea, it is advisable to heat up the mixture before drinking it. Some recipes suggest adding egg whites to the mixture before straining the liquids, as it is supposed to soak up the tannins, but not the DMT. Egg whites are said to reduce nausea by a great deal, which is one of the common Ayahuasca side effects. It should be sieved out of the water once it is hardened and solidified. Afterward, you will need to strain it. Generally, the Ayahuasca consistency changes to that of milk. The author of this recipe suggests that you place the Acacia Confucia and Syrian Rue in a slow cooker along with a dash of lemon juice. The lemon juice is supposed to increase the solubility. Cook the mixture for several hours, adding water as needed. Stir regularly to prevent the herbs from scorching. When finished, strain the mixture through a mesh strainer. The mixture will be a thick substance. The ratio of Syrian Rue to Acacia Confucia should be 4 to 1 – in other words, four parts of Syrian Rue for everyone part of Acacia Confucia that you use. A strong recipe for two people will include 80 grams of Syrian Rue and 20 grams of Acacia Confucia. The Shuar, indigenous people of Peru and Equador, have been taking part in Ayahuasca ceremonies for hundreds of years. Their recipe on how to make Ayahuasca differs from the more conventional method above. Shuar shamans split a piece of Banisteriopsis caapi stem (1 to 2 meters) into small strips and place it in a pot with several liters of water. They add the leaves of several different plants: Ilex Gayusa, Diploterys Cabanera, and Mukuyasku into the pot. Next, the Shuars boil the mixture until the water has evaporate and then consume the thick, syrupy substance. Take care not to boil the brew too vigorously as it will cause degradation of the active ingredients. It can also cause caramelization of the contained sugars, resulting in a very thick brew. The mixture must be stirred regularly and not be left unattended, which is why it is probably better to make a ceremonial event from the brewing process. The Ayahuasca experience is very spiritual, even from the beginning. When you prepare your Ayahuasca tea, spiritual experts suggest that you speak your intentions to the brew and listen to the sounds that it makes. Be thankful for the experience, whether it was good or bad. No matter if the trip was good or bad, there are always lessons to be learned, even if it was just how to make Ayahuasca. 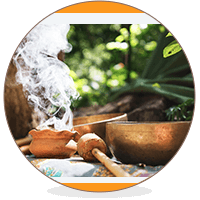 Mind, body and spirit exercises such as yoga or meditation before preparing and taking Ayahuasca, are extremely complimentary to the preparation process. Other regular users suggest that before brewing Ayahuasca tea, blow on the vine, offering soft chants of gratitude towards God the Creator and earlier masters of the tradition. Your Ayahuasca experience’s quality depends highly on the preparation that you put into the ceremony. The most important step to take even before beginning to prepare Ayahuasca tea is to release all expectations of what the trip may entail. Ask yourself what it is you want from this experience and make sure that your intentions are pure. Prepare yourself for a potentially negative experience, physically or psychologically. 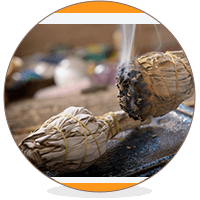 You are highly likely to be vomiting before the spiritual experience sets in, which can also be something you experience as negative. However, even these experiences can be healing. Hi Namaste where can I buy this tea ? OMG did you NOT read the article?? Your friend google can help. I don’t know who came up with this ratio of 80 grams of syrian rue to 20 grams of acacia confucia per dose but this is very irresponsible and dangerous misinformation. You only need enough of the MAO inhibiting ingredient to activate the DMT in the other ingredient, I’ve found that about a half teaspoon of ground syrian rue per dose is plenty, which is probably closer to one gram. Any more than this causes a very strong and unpleasant almost paralyzing sedative effect which also negates much of the effects of the DMT and ruins the whole experience. And I’m pretty sure 80 grams of syrian rue would be enough to kill at least one if not two people. What ratio would you recommend, then? If there is annybody who wants to advise us And give Some help i would be very thankfull. I will use Caapi TINCTURE and Chacruna, but is it common/ok to use slowcooker?